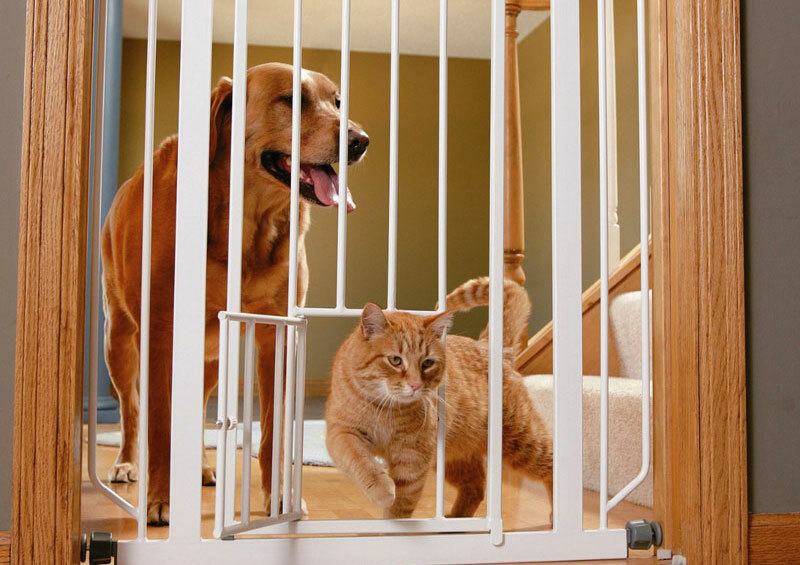 The North States Supergate Expandable Swing Gate is a classic expandable pet gate model. 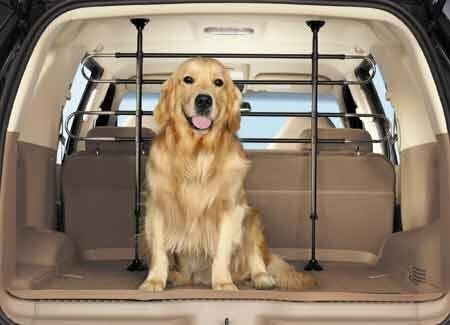 Looking for a flexible option to corral your pet? If so, an expandable pet gate might be just the ticket for your home. Expandable models allow you to expand or collapse the gate to fit multiple openings and can typically be moved as needed. 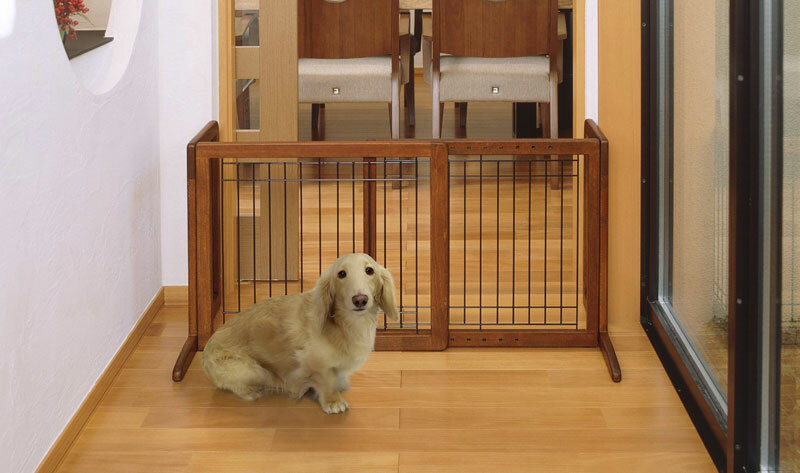 The classic expandable pet gate is made of crisscrossing slats that can collapse accordion style. However, there are several other types of expandable pet gates to consider as well if the classic style doesn’t suit your needs or style. There are some freestanding expandable pet gates that widen by sliding panels. These tend to be the most flexible option as the width can be adjusted and they can be moved freely. 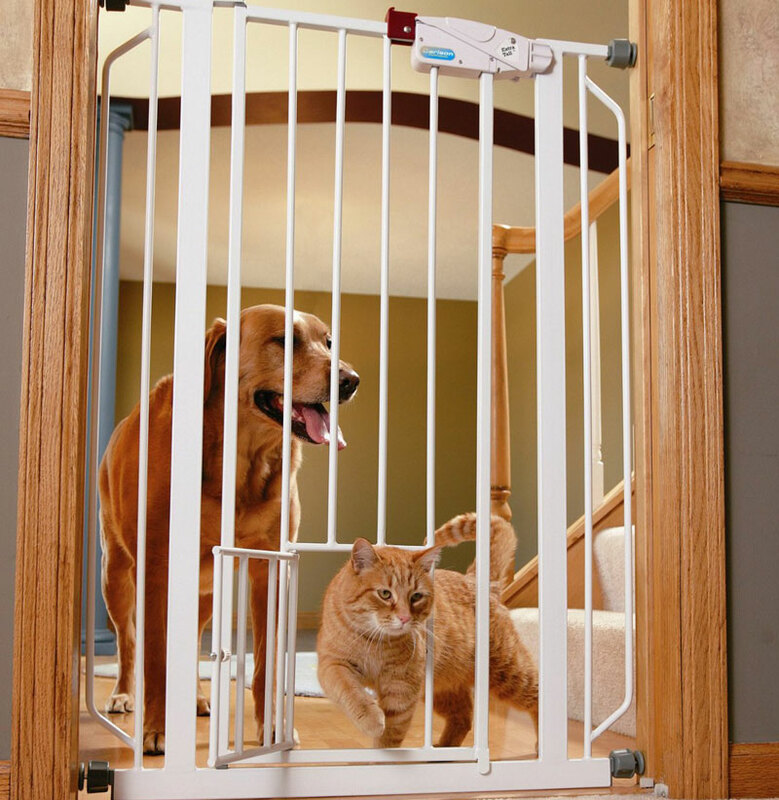 Another option is a hardware mounted expandable pet gate. These gates have strategic hinges in between panels so that the gate can be configured to suit different spaces. Because they require mounting to walls, though, these gates take away some flexibility. 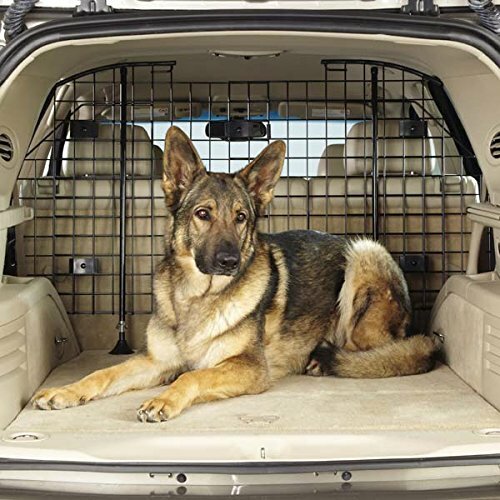 Below you’ll find a comparison chart that features all three types of expandable pet gates. We hope this helps you find the best gate for your home! Hopefully the chart was helpful for you in seeing the variety of expandable pet gates available. We’ve done our best to provide a snapshot of all of the vital information for each model. Now we’ll go into more detail on a few of the most popular models from the chart for those who would like more information. 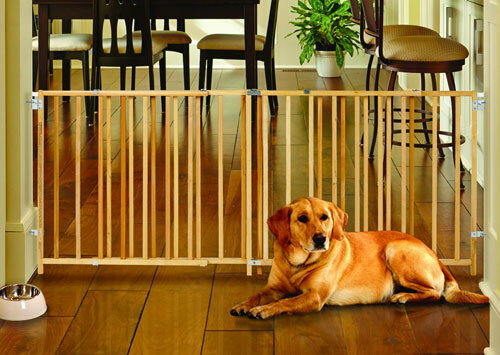 The GMI Keepsafe Expansion Gate is a classic expandable pet gate featuring collapsable wooden slats. The maximum expansion reaches up to a whopping 84″ wide. The height of the gate varies depending on how far it is stretched. When the gate is condensed it stands at 33″ tall, while it is only 30.5″ tall when it is fully extended. The gate’s manufacturer boasts this gate’s safety features, highlighting a patented design that avoids pinch or choke points. 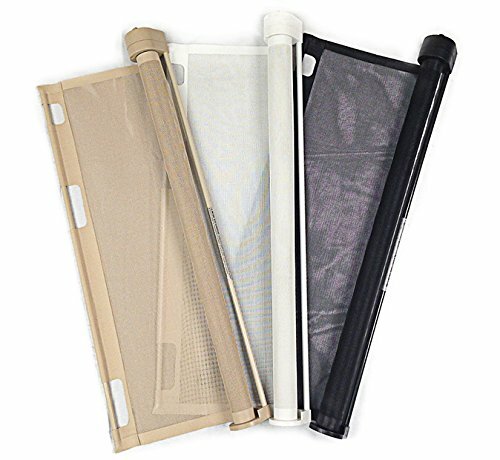 The gate does not use any plastic coverings to cut down on any possible dangers of broken or chewed off plastic. Customers note that this gate is very easy to use relative to other expansion gates. It can also be either collapsed or swung open to allow passers-through. The North States Supergate Deluxe Décor Metal Gate is a hardware mounted gate. Its adjustable width functionality comes from it’s hinged panels. The gate can be adjusted to span spaces from 38.3 to 72 inches wide. Another reason this gate has earned high praise is its sturdy metal construction that stands up to daily wear and tear. Fur parents also like that this model features an extra wide gateway as well. It give passers-through 25.5 inches of space when the gate is open. One reason this gate stood out for us is its attractive design. The arched gateway panel lends elegance to the gate, and the matte bronze finish makes it look high end. This is a pet gate that could actually be a style accent! The Richell Wood Freestanding Pet Gate is a freestanding expandable pet gate, and is one of the most convenient gates form our chart. Keep in mind that this model stands at just over 20 inches tall, and is targeted for use for cats or small-to-medium sized dogs. The expandable sliding panels can be adjusted to span distances between 39.8 and 71.3 inches. Because of the freestanding design, this gate requires zero installation and can be moved around the home as needed. This model has a wide base to provide stability and prevent the gate from tipping over. This is also an attractive, modern-looking gate that features beautiful hardwood and metal frame. It is available in a natural finish and a white finish so you can choose whichever best fits your homw.